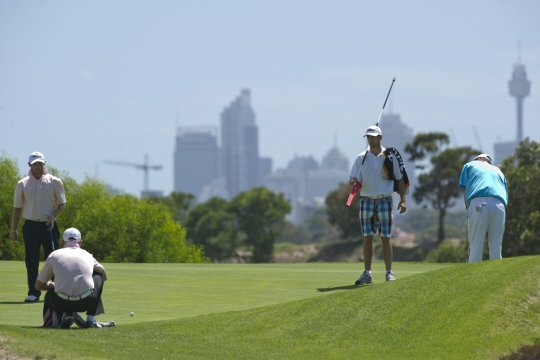 Concord Golf Club remains the only club left undefeated following the fourth round of the Division 1 Sydney Metropolitan Major Pennants series. With an impressive four wins from four games, Concord dominates Section 3 against Carnarvon, a team yet to score a win, Castle Hill and Pymble. Concord will meet Pymble this week at home after defeating Pymble in their opening match 5-2. Yesterday Concord accounted for Castle Hill 7-0 to sit four games ahead of Pymble with two matches remaining. In Section 1, Bonnie Doon took the wind out of St Michael’s sails with a nail bitting 4-3 win at home. Solid performances from St Michaels lower order with captain Luke Roberts winning the number 7 match, 2&1, over Andy Chu and Shaun Cameron playing number five winning 3&2 over Rhys McDowell kept St Michaels in the contest. Despite the loss, St Michael’s remains on top of Section 1 with 3 wins and 18½ games to Bonnie Doon’s 3 wins and 15 games. St Michael’s will play New Brighton next week in an away game which is a must win for the 2010 Pennant title holders. Bonnie Doon, who packs a tight top-order punch with Ricki Kato, Jordan Zunic and Ruben Sondjaja, will play North Ryde next weekend and will be looking to secure an away game and make up game deficit against St Michael’s. Section 4, arguably the hardest in Division 1, was won by The Australian after accounting for Moore Park at home with a stellar 4½-3½ win. Jake Higginbottom squared the top-order match with Dimitrios Papadatos, Daniel Bringolf lost to Clancy Bowe, 2&1, with S Carroll, John Ayoub, Aron Best and Ian Bradley winning their contests to secure the vital win for The Australian. Section 4 sees Moore Park ahead on games with sixteen individual matches from two wins. The Lakes lead on match wins with two and a half to Moore Park and The Australian two, yet have won just 14 games to be tied with The Australian. The Lakes’ chances of holding the top-spot dashed with a 4½-2½ loss on the weekend to Long Reef in an away game with Brett Drewitt remaining undefeated for Long Reef in the top-order position. Long Reef will face Moore Park at home next week, with The Lakes taking on The Australian also at home. What is particularly interesting about Section 4 is that with two matches remaining any one team can win the Section and a battle is unfolding between these powerhouses of Sydney Pennant golf to avoid the relegation games and the possibility of Division 2 encounters next year. The outcomes of those away games will be pivotal as to which team will take Section 4 out and which is faced with the unsavoury tasks of playing to remain in Division 1. Moore Park arguably should win against Long Reef, having earlier secured a 6-1 win in their home match. The Lakes is always tough to beat at home, however, will need to rebound from their loss on the weekend and The Australian remains on a high after its victory over Moore Park yesterday. NSW Golf Club in Section 2 continues to press for another Division 1 final appearance and disposed of Mona Vale with a 6-1 home win yesterday. 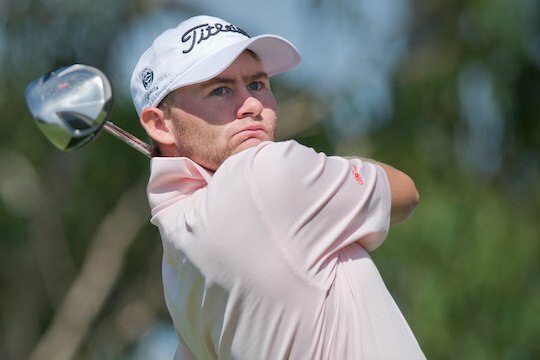 Michael Lambert, runner-up to Brett Drewitt last month at the NSW Amateur, remains undefeated in the series with a 3&2 win for NSW in the top-order match over D Brant-Richards. Lambert is being supported well by Michael Bell and Dean Van Kampen and this NSW line up is a team to watch. Last year, NSW was beaten in the final by Moore Park and many of the same team members make up their current lineup. With three wins, NSW leads Section 2 comfortably with 20½ games over Oatlands on 13 games with Mona Vale and Fox Hills rounding out the section.